2010 will arrive at the stroke of midnight and the rising of the year’s first full moon. What will we leave behind in 2009? What will this new year bring? Local Pediatrician, Dr. Mark Sloan, encourages us to reflect on the wonders of birth and the journey of parenting as we resolve to begin a healthy New Year. “Why is this so hard?” asks an awestruck father as his wife labors with their child. Dr. Mark Sloan felt compelled to bring the world a better answer than, “It’s a tight squeeze.” His book, Birth Day, explores childbirth from a range of perspectives. From the biology of why humans (versus say gorillas) have such painful childbirth, to the cultural phenomena of how women came to birth lying down, to the science and statistics of pain reduction aids and surgery, to the personal experience of the pressures of being both labor coach and expectant dad, this book provides an in-depth look at the miracle of childbirth. My question to Dr. Sloan today is, “Why is parenting so hard?” While raising five children, my mother never complained about lack of sleep or growing bored with the tedium of constant story reading, coloring, or changing diapers. Yes, she verbalized disdain for the never ending laundry pile, the mess that we “spread over five counties” and the financial challenges of providing for a large family. Be it a sense of duty or fear of public shame, she never declared mothering or nurturing difficult for her. I was a bit shocked by the reality of my own parenting experience. Dr. Sloan affirms that parenting is a tough job. Many of the families in his practice struggle with sleepless nights, fussy babies, baby’s first fevers, mom’s post partum blues, and other general feelings of inadequacy. 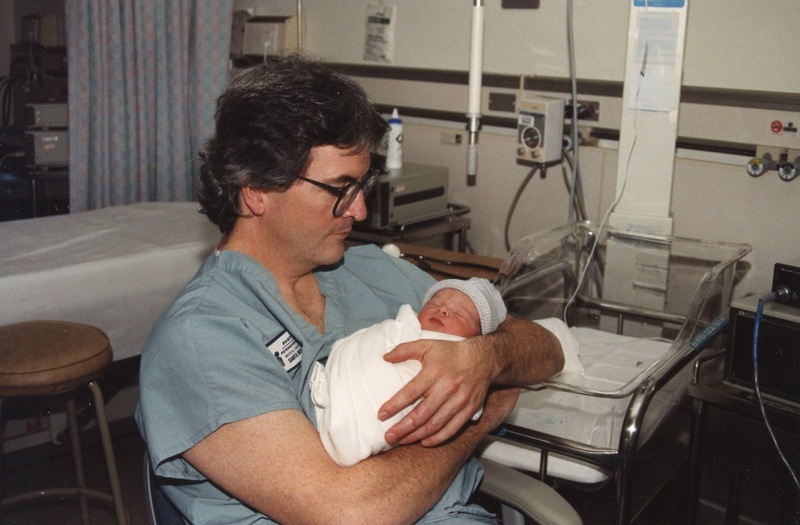 Dr. Sloan shares that some moms feel inadequate as birthers – they accepted epidurals when they’d planned not to or had cesareans when they’d wanted to have natural births – and this feeling continues as the women become new mothers. Sharing a telling story of three of the mothers in his practice, Dr. Sloan reveals that mothers sometimes try to conceal their struggles from each other. Dr. Sloan counseled these three mothers - all friends - each declaring to be having the singular experience of feeling like failures. Each one claimed to be the only mother to have a fussy baby and to feel overwhelmed in their new role. Each offered the other as an example of a mother who made it all look “easy.” Clearly, these women needed to share the real stories with each other! Negative feelings can worsen if women don’t get assistance from doctors, pediatricians, or support groups (see Sonoma County guide here) who can all help normalize some of the difficulties of parenting. Dr. Sloan often quips “Bad mothering?” when moms question children's behaviors or issues. His joking stock response is meant to help mothers see through their guilt to normal child development as the source of most "growing pains." Dr. Sloan practices "anticipatory guidance" and strives to alert moms and dads to upcoming changes and challenges. This helps parents adjust expectations and keep up with their child's fast paced development, rather than resorting to self blame or frustration. A father of two teenagers, Dr. Sloan offers a great model for how reflecting, sharing, and learning about birth and parenting can benefit all of us. Fueled by his passion for finding and sharing wonders, he arose at 4:30 each morning to write the various sections of what became his book Birth Day. Sparing himself no shame, he disclosed his own tribulations with the birthing process – including an instance of falling asleep while his wife gave birth to their first child! Dr. Sloan proves that honesty, humor and compassion unite parents and makes for an engaging read. Reflect on your own beginnings today by reading Dr. Sloan’s Birth Day , and resolve to strengthen your support networks as you progress on your parenting journey. Note: an abridged version of this article appears on the San Francisco Examiner. 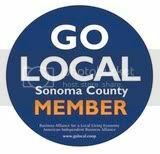 Please check out Sono-Ma author Holly White-Wolfe's new "Sonoma County Parenting Examiner" page! My workshop could be described as a disaster.... or it could be painted as a simply busy place where a craftswoman can hardly pause to clean up! I am working with the most ethereal fibers, inspiring fabrics, and vintage buttons to muster creations for those I most love. Oh, when dinner calls or my little one begs from behind the baby gate across my office door for me to "come out" - I can hardly tear myself away! Waldorf Doll - hand crafted under the guidance of master craftswoman Mary Bowen, this doll is springing to life just in time for Solstice! My sewing teacher, Miss Teapot, helped me to craft a shirt using some vintage Swedish looking fabric I purchased from Apron Thrift Girl and the Waldorf Winter Faire. The shirt will go wonderfully with the little pants and shoes I purchased from Truth of Truth's Dolls. I think Bryles will also love the tiny bed I scored from Salvation Army and the blanket I purchased from Sarah's Silks. Note how the details in the shirt give it a real European flair. Miss Teapot gave me the idea to add tacking to cinch in the neck, and then to embroider little golden x shapes over the tacks. The brass button with a chain stitched loop also adds a very special touch. 80 Hand-Crafted Holiday Cards - Back in September, crafting my own holiday cards sounded like a fun and frugal project. After now stitching, stamping, cutting, inscribing, assembling, and tying 80 individual cards, I am seriously considering the old fashioned, store-bought variety for next year! However, these cards have an important message of Peace and Love, that I am hoping my friends and family will recognize. The heavy paper and hand work carries a weighted presence that may inspire people to pause for a moment and reflect. Our family photo (taken by Sharon Eisley) also shows how little Bryles is growing up, and how we are all changing. It is amazing to watch everyone's change trajectory through the annual holiday card photo exchange, and a great visual connection to those we love but won't see during the holidays. Mary Bowen taught me the Celtic verse "Deep Peace" through our Nurturing Arts course, and I am eager to share this serene song with every last of the 80 loved ones on my list! Thanks, also, to Miss Teapot for the card making course she created for Sono-Ma Annalyce and me early this year. 20 bars of Lavender Soap - This year's household gift is hand crafted soap. The rich recipe comes from "Better Basics for the Home" and includes olive oil, Whole Foods Palm oil, and local coconut oil. This luxurious soap becomes quite the lovely gift when paired with some natural greens. 1 Yule Log/ Bruche de Noel Faux Bois - Ever thought of making a door draft snake into the shape of a log? That's my ingenious idea for my gift to my sewing teacher. This creative woman has thought of everything and crafted more hand made items than most, so coming up with a new idea is next to impossible. However, I am pretty sure this is an obscure idea! Still, I found one woman who made a Yule log out of fabric and posted it on-line. Her bruche de Noel is gorgeous, but mine will hopefully be both fun looking and useful. We'll see how this project turns out. If it's anything like the mushrooms (shown above) I've completed to garnish the log, it will be fantastic! So fun to create! Dozens of Wool Creations - Thanks to Paul and Elizabeth of Singing Frogs Farm, I have five animal's fleeces in my garage! In the past few months, I've learned to clean, card, and felt wool under the wonderful Fiber Artist Judith Ashley. Our weekly trips out to Wild Rose Farm resulted in dozens of lovely wool gifts I'll bestow on friends and family. I just love the Christmas Mouse in his wreath, the "vessels" (shown below) and all of the ornaments I attached to prisms to hang in the window. Wool is truly whimsical! 10 Felted Flowers with Vintage Buttons - In the middle of holiday production I am also preparing for my brother and sister in-law's baby shower! Their big party will be held on December 27th. I can't wait for them to see all we have planned. I can at least share that there will be flowers a plenty. From lovely arrangements designed by the Dragonfly Floral gals to the felted ones I am creating inspired by Princess Lasertron, there will be a feeling of Spring in the middle of this Winter! Thanks to my mother who recently sent me a tin full of wooden, shell, and other unique buttons collected by her mother and grandmother. Bryles likes to sift through the tiny ties to my craftswoman's heritage... How I, too, love to pour over the shiny bits and dream of all I will create - after the holidays! Sarah's Silks Has a Gift for Sono-Ma Readers! Your Chance to Win a Silk Canopy Here! Sarah's Silks Give Away - Just in Time for this Season! "One of our goals is to help the children of the world retain their sense of creativity. Open-ended play encourages children to be creative, and for both children and adults, a creative mind is an essential tool in life. Our children remind us all of the infinite possibilities of imaginative play." All of Sarah Silk's products featured on Sarah Jane's website are made with natural materials and non-toxic dyes. There are no chemicals, dangerous coatings or heavy metals in paints to worry about. Many of her products are made right here in Sebastopol California. (Products that are produced overseas ensure fair working conditions.) Sarah's Silks and company take pride in providing quality toys that are made well and with responsibility for a better planet. 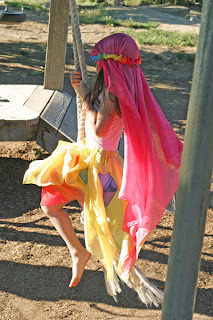 Buy Sarah's Silks on-line or through local vendors such as Sebastopol's Earth Child. Win Your Own Delightful Silk Gift! 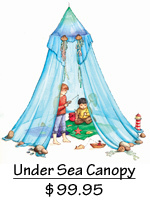 Sono-Ma readers can also enter to win a Sarah's Silks Play Canopy with the blue and green "Under the Sea" theme. To enter, leave your comment before 12/22/09 at 4:00 pm answering this question: Which Thoreau quote is centered on Sarah's Silks Babies and Toddlers page? The winner will be notified via email and will receive one, 100% silk gauze canopy and all parts needed for hanging. Sarah's Silks are a central feature in several of our family's rituals and special occasions. Blossom's teacher, Grandma Mary Bowen, wrapped Bryles shoulders in one of Sarah's rainbow silks as part of a special birthday blessing. She told Bryles the story of how he came down the rainbow bridge to the loving arms of his family, using his silk as a physical link to the more ethereal realm. During his family birthday celebration, we again tied the cape on Bryles, who happily danced around the house in pure celebration of the magic of his birth. One of Sarah's Silks blue baby blankets and a red play silk will be two of Bryles main gifts for Solstice this year. I can't wait to see him wrap the Waldorf doll I made him in the precious blue banket... Or to see him build a play tent for his knit and wooden animals with his red silk. These are truly lasting toys, with a natural feel that inspire children to great imaginary feats! “This is not the North Pole!” cries little Seth as our Sono-Ma County caravan pulls in to the Skunk Train’s depot. While Willits California may seem an unlikely gateway to Santa, a ride on the vintage Mendocino locomotive is a sure way to connect or reconnect with your child-like holiday spirit. Kids (big and small) sport jammies, and prepare for a dream-like adventure. A powerful locomotive roars into place behind the passenger cars. The children look on with a mixture of fear and delight. Elves help families board a jolly train bedecked in white lights and evergreens, with shiny packages poised in luggage racks. The train lurches forward and the “Train Singer” enters to lead a round of caroling, enticing even the more serious dads to bellow and bob along. 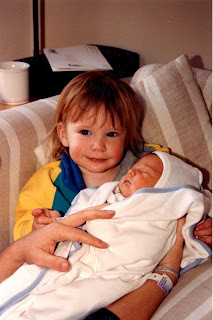 Then little Justin calls to his sister, “Abby- look! Santa’s wife!” and in enters Mrs. Claus smelling of sugar cookie perfume. Later, the singing dies down and the joyful noise transforms into an awe-filled hush. The parents smile to themselves while the children press their faces to the glass and gaze at the towering redwoods. The nostalgia continues as the “Night Before Christmas” is read aloud. The elves also hand out paper and pen for last minute letters to Santa, and families bend their heads together with important whispers. Finally, a lovely, lighted cottage comes into view, and the train stops to pick up its most awaited passenger – jolly old St. Nick! Even the shyest child waits to hug Santa offering a muted Merry Christmas. The glorious 90-minute ride ends all too quickly. Follow in the footsteps of families from Sonoma, Santa Rosa, Ukiah, and as far as Santa Barbara and make this your annual tradition! Hop on this happy holiday train and make your reservations today (or call 1-866-457-5865) or mark your calendars for next year! Or take this family's lead and try the open air ride in the summer. Thanks to the Chevron station on Lake Mendocino Drive in Ukiah for making this family's holiday by awarding them tickets through your annual give away! Watch this slide show for more smiles and holiday joy. 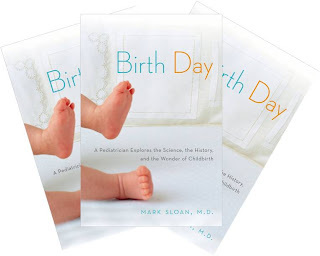 Enter to win by simply leaving a comment on this post with the name of the baby featured in the Birth Day excerpt on Dr. Sloan’s website. The contest closes on December 22, 2009 at 4:00 pm. The universal subject of birth makes “Birth Day” the perfect gift. Win a copy or purchase the book at our local Copperfield’s Store. You can also purchase “Birth Day” here. The book will be a feature in the gift basket I am creating for my brother and sister-in-law who are expecting a little girl in March. I also leant a copy to my hair dresser who is expecting. Dr. Sloan's explanations of "why birth is so hard" were eye opening and hysterical. His stories shed a whole new light on my own past birth experience. I especially love the way he affirms the concept of doula support in the birthing room. Dr. Sloan's insights as a labor coach and father are a must read for every expecting dad. Even this experienced doctor worried about fainting and committed faux pauxs as his wife's birthing assistant. Stay tuned for an engaging full interview with Dr. Sloan, scheduled to post on the birth of the New Year. The “most wonderful time of the year” begins for me with the scent of fresh cut pine. We get our tree the minute Thanksgiving passes, while we visit family in Redding, California. Decked in snow clothes and wool hats (converted from old sweaters of course!) we pile into four by four vehicles, and a caravan of ten or so cars sets out. We make a long trek to the Lassen Mountain range to find our evergreens, light a bon fire and warm ourselves with Uncle Steve’s famous chicken soup. This year, we even found a snow park with a warming hut (a cabin with a fireplace burning inside) where we could eat our soup after a long day of tree hunting and snow angels. As the years pass, our family and friends hold tightly to this tradition of tree cutting. What better way to begin the winter holiday than to revel with loved ones in nature’s winter glory? Sonoma County families have ample opportunities to cut their own holiday trees. Today we joined the Kaiser family in selecting their tree from the Wallin family tree farm in Sebastopol. Years ago, this property was an apple orchard and a beef operation. For the past 25 years, the farm offers in-the-know families a selection of 300 full lovely, trees. Locals and out of towners – some from as far as San Diego, return year after year to cut their evergreen and sip cider with the Wallins. Every family is invited to stay for a warm cup, a candy cane (or a fruit roll for health-oriented families), and to peruse the gift shop. The Wallins also hand out a coupon for a free bag of Twin Hills Apple Ranch – another local farm. The Press Democrat reports local tree farms aren’t feeling the pinch of local economic woes. Farmer Ed Wallin says his sales have been average or better than average this year. He attributes families’ tree splurges to a renewed internal focus. “The tough economy means that families are spending more time together and are focusing more on traditions.” The Kaisers seem to second this sentiment, as they take a busy day away from their Singing Frogs Farm to cut a tree with their two-year old son. “Cut this tree, Daddy!” sings little Lucas as the family determines which trees are contenders for their holiday center piece. Find your own tree at the Wallin Farm by trekking out to 840 Ferguson Road in Sebastopol, California. Ed and Kathy look forward to greeting you between 9am and 5pm every day of the week. You can cut down a tree for purchase or buy a live tree. The farm opens the Friday after Thanksgiving and remains open until just before Christmas. Please call 823-6973 for more information. Be sure to share your favorite tree cutting stories, photos, mountains, or farms by leaving your comments. We're off to decorate our tree now! Is spring in the air? Sure feels like it today. Birds! 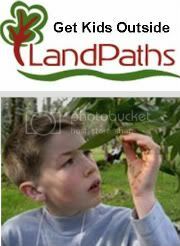 Sonoma County's Junior Audubon Page - bird ID, crafts, events ad more!